Hello, basically this is list with the games I am interested to get, but as recently I've purchased A LOT of games and my budget for games is very tight, I cannot get all (actually by the end of the year I can get only 2-3). From the games I have (about 23) most are euros, but I love some euros and hate others. I don't like a lot pure cards and deck-builders, I mostly play with 4, sometimes 5 players, and twice a month 2 players with my wife. I like heavier games, but the groups I play with usually I not keen on such, depending on time frame and complexity of the rules. The games we play most often for now are Disc World: Ankh Morpork, Lords of Waterdeep, Tobago, Hanabi, Pandemic, Zooloretto, Fresko, King of Tokyo. Recently I got Tikal and Thurn and Taxis, but still haven't played them. I also try to keep my collection varied in complexity, theme and game mechanics and not get too similiar games. For example I have Tzolkin (which I still haven't played due to its higher complexity), Waterdeep, Dungeon Petz and Fresko, so I try to refrain from getting more worker placement games unless it appeals me very much and have some additional interesting mechanics. A lot of games that I want highly are not in that list due to low availability, high price or because are too similar to games that I already got, or I think the groups I play with may not like them much. I order the games in order of price starting with lowest (including shipping to my country), as I want to try to get as much games and bang-for-buck ratio. I'm reading a lot of good things about this game, and now-and-then we don't mind quick card game. It's also very cheap. Looks quite flat, but due to varied objectives and also varied maps (which I like as game element) may be better than expected. Also the rules seems simple which is advantage. Currently super-cheap at amazon.de, which makes it almost mandatory buy. Nice looking and I miss quick-abstract-filler with some screwage in my collection. Also cheap enough. I like the visual appearance of this game, and also liked Tsuro, but thought that is too simple, while Indigo seems to have more meat. I don't have similiar game in the collection. 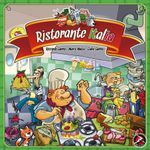 Also quite cheap (15 EUR) and good combination with Kingdom builder (and probably bohnanza) for free shipping. Seems interesting combination of roles selection, resource management and worker placement. Although I try to avoid much worker placement games, this one looks different enough, and I like the theme although it sounds overused. Also cheap (~21 eur) in local store, so I won't have to wait for it a lot. 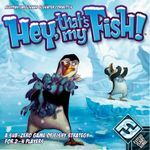 The BGG rating is kind of low, but I read good reviews (from Bruno Faiduti and a couple more). Seems very good in terms of complexity and time also. 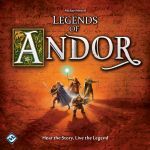 I want very much a party-traitor game in my collection, and I read superb reviews for Avalon. The issue is it's for min 5 players, and most of the times I play with 4. There is duality on the opinions on this game, but overall sounds interesting. I don't know how much it may feel similar to Tikal or Tobago, which I own. Caylus was the first worker placement game I played, and I was wowed by it. But lately when I play it it feels too tiring, mean and not-fun enough. Spyrium looks lot different than the usual worker placement games, but the minimalistic components (not having board) puts me off, also the auctioning may be too mean for the likes for the people I play with. 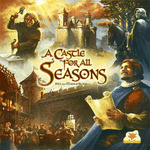 Still good price for a newly released game at about 23 eur. Honestly I don't know much about this game, but there seems to be a lot of buzz about it, and it's ranked very high. Mid-price range ~26 euro. I liked Alhambra a lot the first time I saw it on tabletop, although it looked a little light for my taste. Still now I am concerned if it won't feel a little similar to some games I own - like Zooloreto, Carcasone, Tikal, (Castle of all seasons if I get it) and a game I really like to have (but impossible to find) Colloseum. 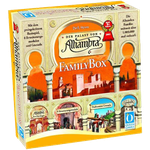 Family box's expansion may give it more flavor and move it in a bit better complexity level, but it's mid-priced at about 27 eur. 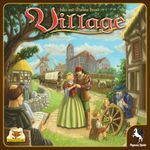 Yet another worker placement, although it have the interesting getting old mechanics and pleasant theme, the price (33 euro) and similarity to the other worker placement games I have will make it a no-go. I like Pandemic much, but I wanted to like it more. May be the expansion will move it up. Yet maybe I'll wait before getting it, when I feel my collection is big enough. Also I have about 4-5 plays on Pandemic yet, so it should not be worn out yet. I've played it about 2 years ago and was fascinated by it. Still as a friend has it, and I hope I can get it temporary, also it's not too cheap (34 euros) and has the issue with best strategy, I think I'll pass on it for now. I would like to get a story-based cooperative game with simple rules a lot, but I'm not sure if the other players will like it. It's expensive (41 euro), and also as it's in Bulgarian It will be very hard to trade it away if it doesn't go well. Otherwise seems very good quality and art too.